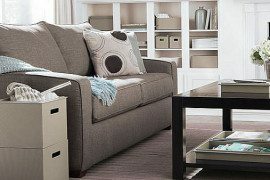 Storage is a basic element in any home. 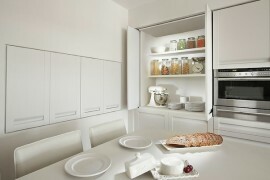 Closets, shelves and furniture all combine to keep life’s daily necessities in tip-top order. But no matter how many organizational systems we put in place, it never seems like we have enough. If you’re facing this problem, consider taking the DIY route to solve your troubles. 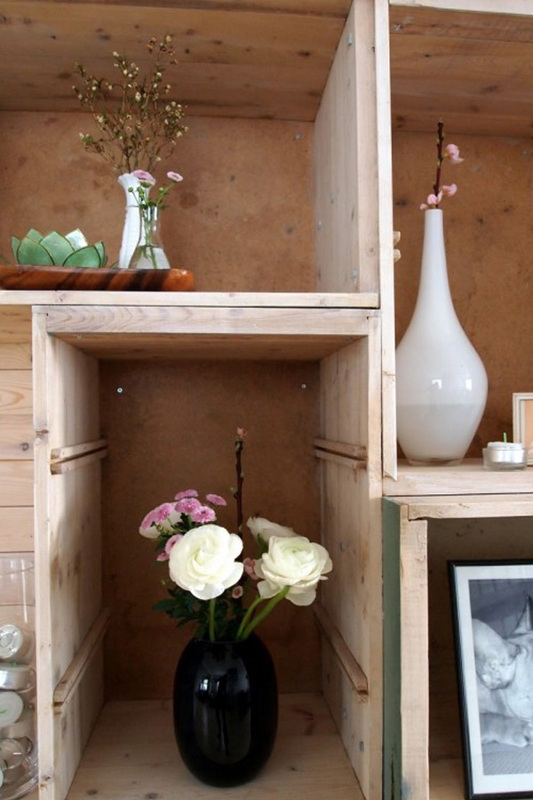 There are plenty of chic storage ideas you can create yourself. Here are a few to get you started. These unique shelves may appear to be regular crates at first glance. 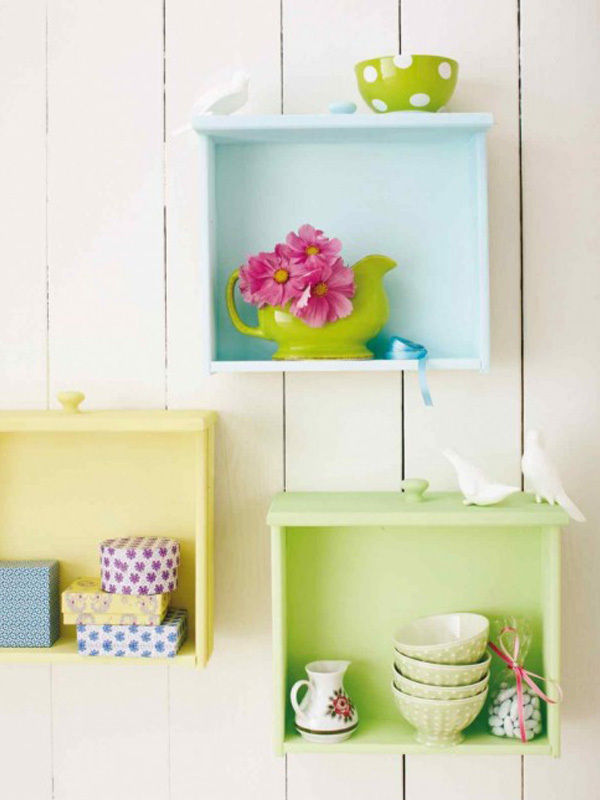 But take a closer look- these pastel gems are actually repurposed dresser drawers. 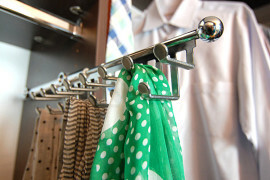 When doing this project, consider whether you should face the drawer pulls on the top or bottom of your shelves. The knobs make a nice decorative addition to the design, but may make it difficult to display items on top. Either way, this DIY is just as pretty as it is practical. When placed together, dresser drawers combine to make a custom bookshelf ideal for any recycled decor aficionado. The beauty of this project from Urban Retro is its unfinished surface, which blends flawlessly with the rustic walls behind it. If you prefer a little color or just can’t stand to leave it bare, paint the exposed drawer fronts. 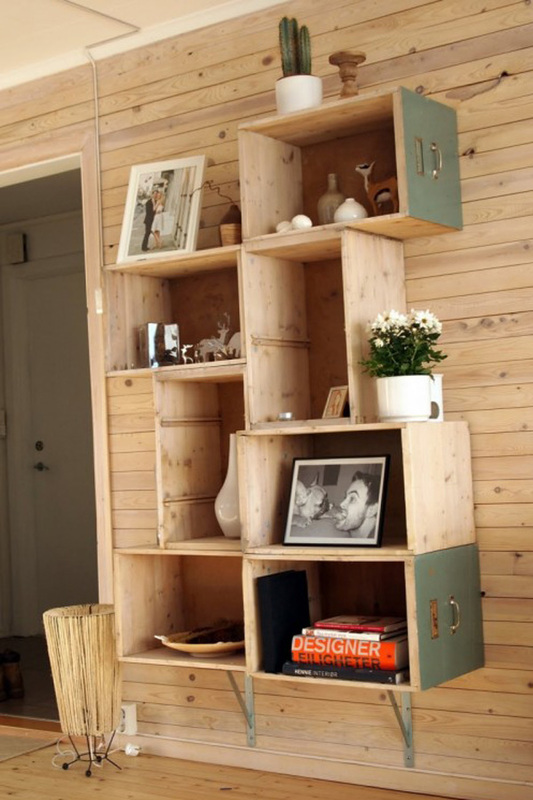 Bookshelves are a storage staple in many homes. 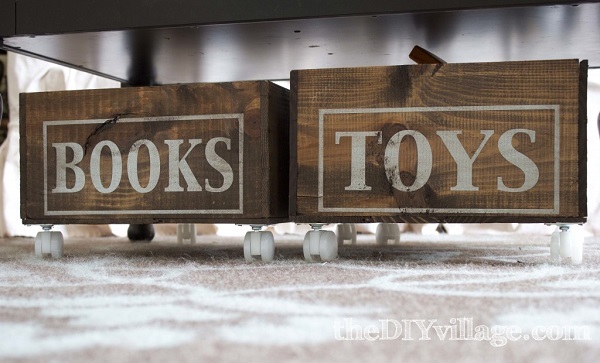 The handy furniture item isn’t just for avid readers, however. You can also use them to store souvenirs, photographs or important paperwork. 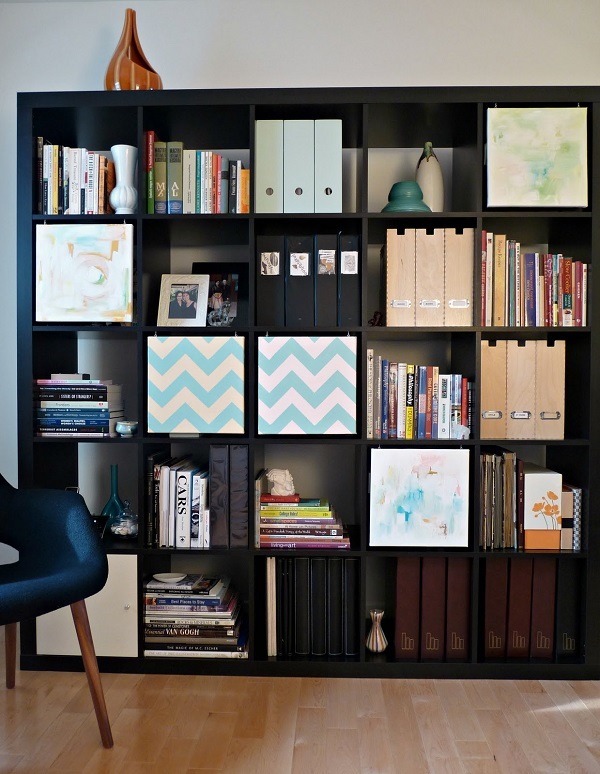 And if your shelves start looking more cluttered than under control, take a page from the DIY book of Tanya from Dans le Townhouse– hide it with hanging canvases. 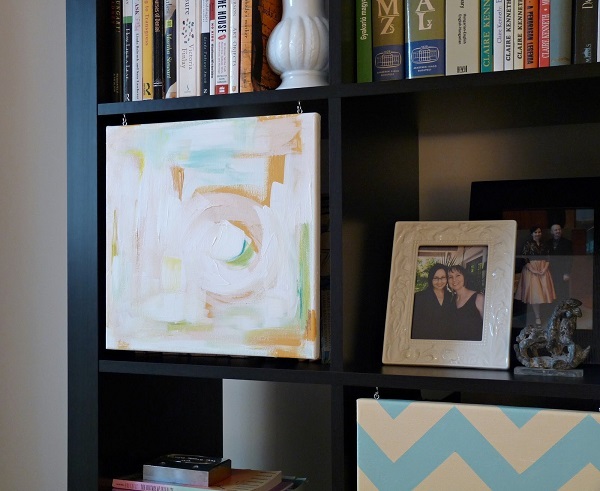 The mini art display is the perfect way to showcase your creativity and keep your clutter private. As fabulous as wine crates are in their original state, a little creativity can transform them into beautiful and functional home accents. A $10 garage sale score left Jacque of The DIY Village the happy owner of four wine crates. After some hard work and ingenuity, they were transformed into one of a kind rolling storage bins. 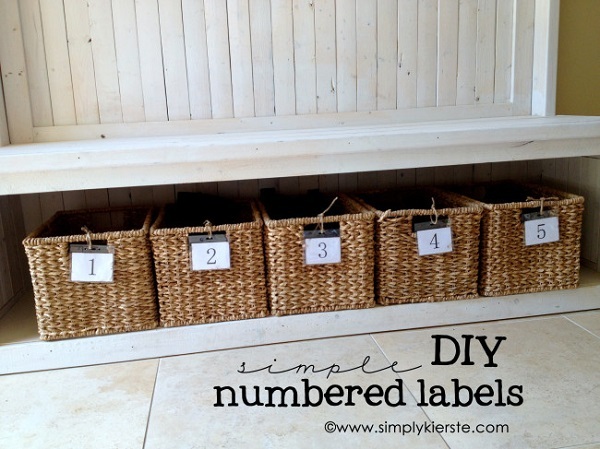 While you could easily place them out of sight under a table or chair, why not keep them out on display? There is never a thing as too much storage! 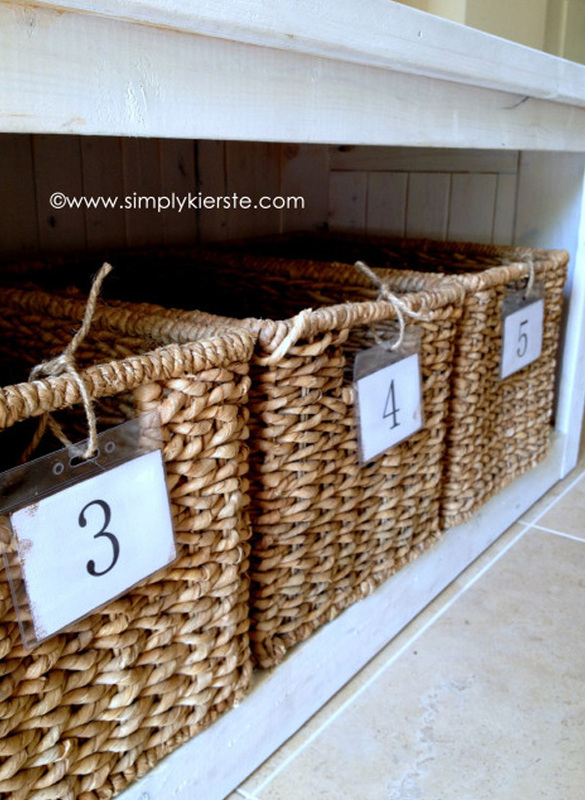 When dealing with the clutter of multiple family members, a system of designated baskets may do just the trick for organizing personal belongings. 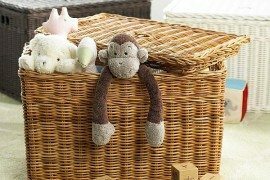 While this wicker basket collection from Kierste of Simply Kierste was designed for the use of five children, you could easily adapt the project to fit your needs. 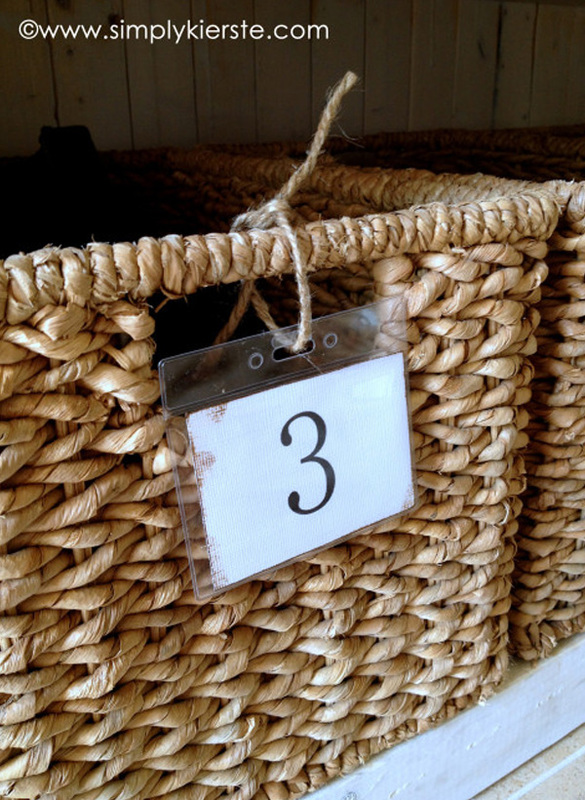 You could dedicate a basket for specific activities or tuck away out of season items like scarves and gloves. 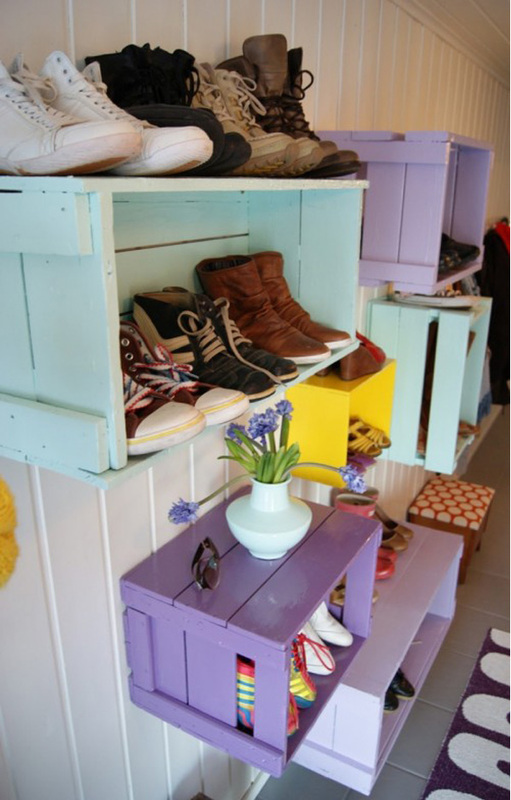 While no one can argue the decorative power of a wooden crate, these colorful shelves from Shelterness provide a new spin on the popular DIY trend. This display is an innovative way to organize your shoes, but you could certainly adapt the project to your tastes. You could store extra linens, seasonal clothing, gardening tools… the possibilities are endless. Some of the best storage solutions pull double duty. 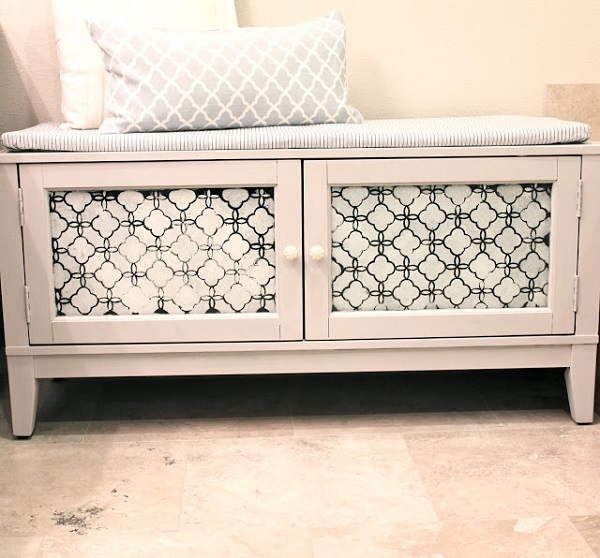 While ottomans have long been the target for covert clutter busting in interior design, this gray and white beauty from Monica of Mon Makes Things is on a whole new level. 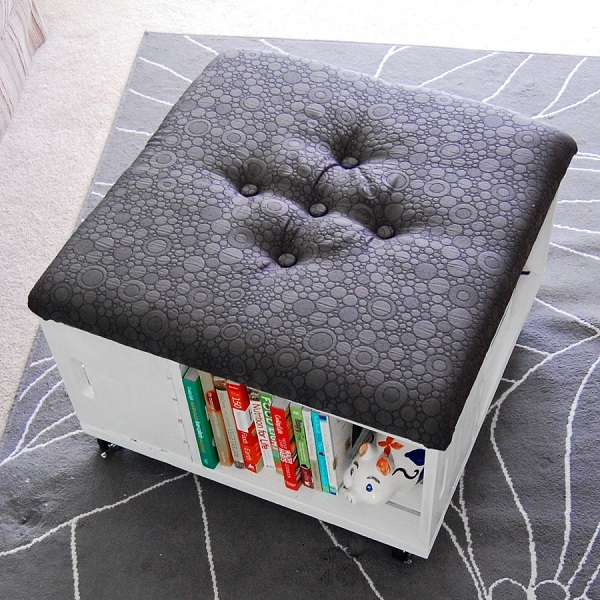 Position this DIY in your living room and you’ll gain extra seating, a place to rest your feet, and a stow away for games and books. 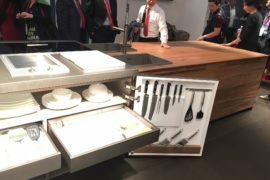 Now that’s a storage item no household should be without. When faced with a challenging piece in your home, resist the urge to toss it. Instead, give it a new life with some DIY magic. 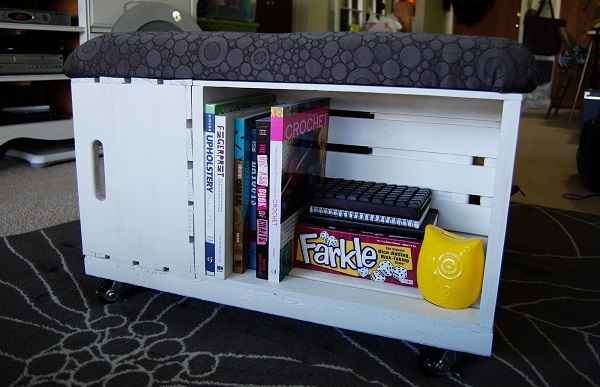 This TV console turned bench/storage cabinet by Saima of Azzure Design is a great example of what a little imagination can do for underutilized furniture. 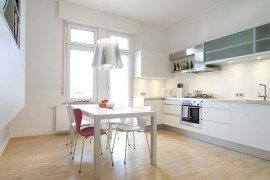 Extra seating plus additional storage? Sounds like a project worth trying. Often times the best organization solutions for our home come from the unlikeliest of places. 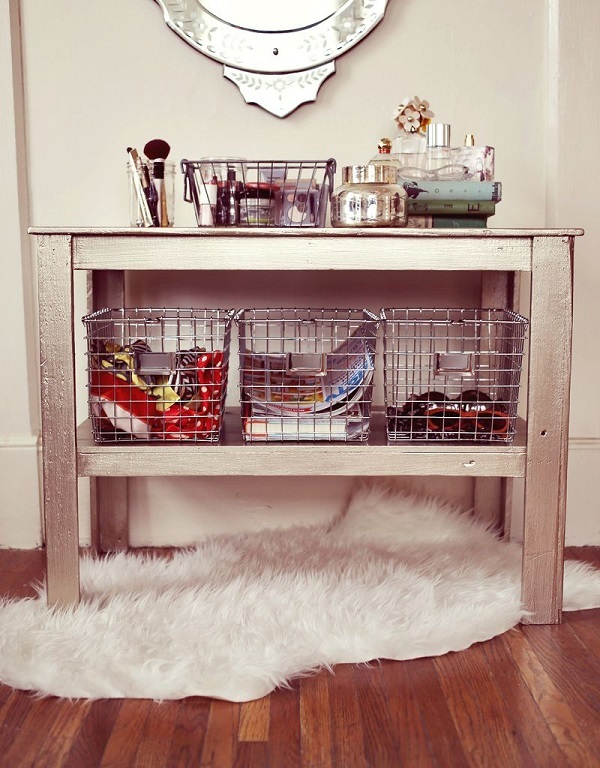 Who would have thought a side table would make such a great storage unit? This DIY by Elsie from A Beautiful Mess certainly proves it. The addition of a second shelf really ups the function, while the metallic paint and silver wire baskets bring glamour and sophistication. Thanks to storage, our lives run smoothly and clutter-free. 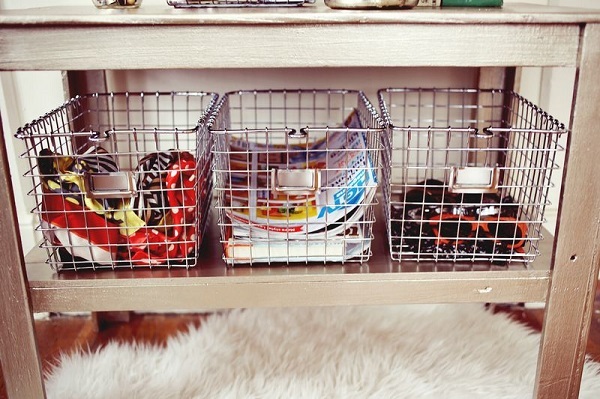 But necessity doesn’t have to be boring- upgrade your storage with some posh DIY solutions! All it takes is an idea. Have a project in mind? Tell us about it in the comments below.